The RC filter stage is the simplest in operation of all the filter stages. 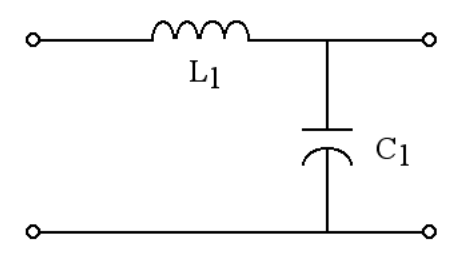 This stage simply acts as a frequency selective voltage divider where the shunt impedance is frequency dependent. At DC the capacitor is going to act as an open circuit and the DC output voltage will be the equal to the input voltage minus the voltage drop in R1. But what about the AC voltage (ripple)? 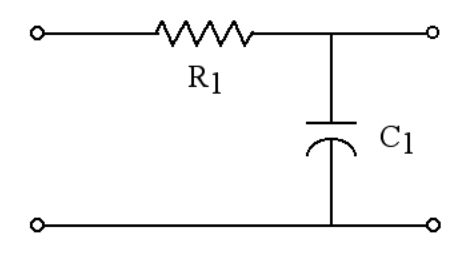 At AC the capacitor has a finite reactance given by the following relation. Because we are using a full wave rectifier, the ripple frequency fr is equal to two times the mains frequency. for this filter section. It is given in the following relation. Fundamentally, this stage is very similar to the RC stage with the exception that the resistor has been replaced by an inductor. However, the differences that this one change makes, are monumental. The RC stage is called a "single pole" design. What this means is that its selectivity varies linearly with frequency. The LC stage is a "two pole" design. This means that the selectivity of this stage varies with the square of frequency. For this filter stage, the smoothing factor is as follows.